airport. The price is for two adults for 7 night and 8 days. free tours, one manicure, one pedicure, and one back massage. rooms and prices available. Call me with questions. I will reserve your room under my membership number and your name. using a credit card and then pay me using PayPal. alarm clock, hair dryer, Iron/ironing board and wireless internet. 24-Hour room service & Turn-down service. Non-smoking rooms available. Round trip transportation from and to the airport. One (1) 25 minute back massage per guest..
One (1) manicure per guest. One (1) pedicure per guest. 11% Mexican tax on money used. 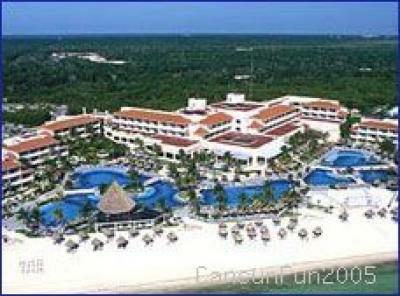 All Inclusive valid at other Palace Premier hotels in Cancun area. Stay at one hotel and go to others for meals and drinks. Non motorized water sports and activities. Theme parties at the hotel. Play rounds of golf at 50% rate. Receive 20% discount on equipment rental. Late Check out ( requested 24 hours before ). Special request in room games. Preferential seating on tours, events and shows. Personal reservation of chaise lounges. Unlimited use of the internet. can reserve as a Diamond member. Air fare is not included, all rooms subject to availability. different at specific hotels and may have changed. outside mall. Snorkeling, boating, and parasailing are available. Each additional adult is $100 per night. Each additional child (4-17) is $50 per person. There is a maximum of 4 people per room.